302ci 330HP: from $5995 — 351 ft/lbs torque. This cam has best vacuum. This cam has a little less vacuum. This engine has the roller cam package and best vacuum! This roller cam package has a bit less vacuum but is more aggressive, with a better Old School sound! 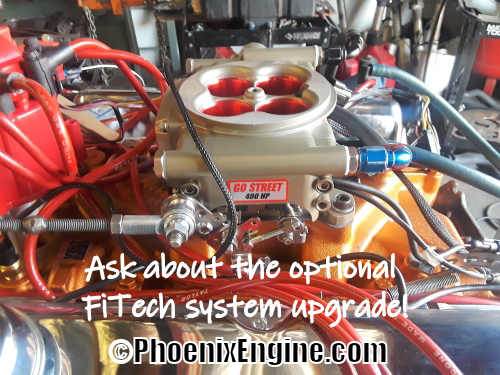 Note: to set up the fast fuel system: please call on Fast Track startup for proper engine super tuning. This cam also has good vacuum. This engine has the roller cam package with best vacuum. 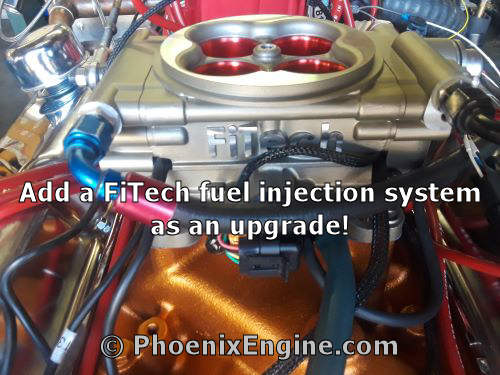 * If you wish to supply us with your own injection system, there is an extra labor charge for second break-in/startup/tuning. 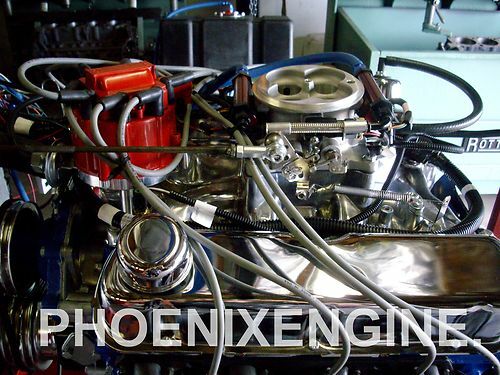 CALL US FOR HIGHER HP ENGINES! This is a complete READY TO RUN hot system. Great for every day driving. 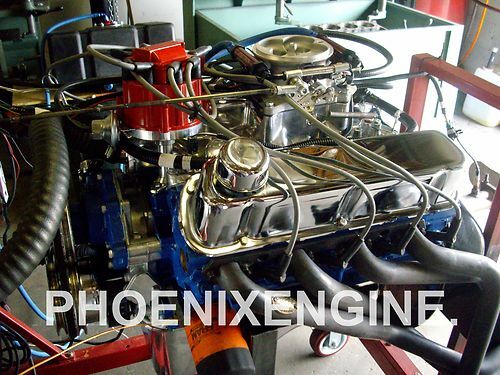 These engines are built from our road proven and Dyno tested packages in our shop. 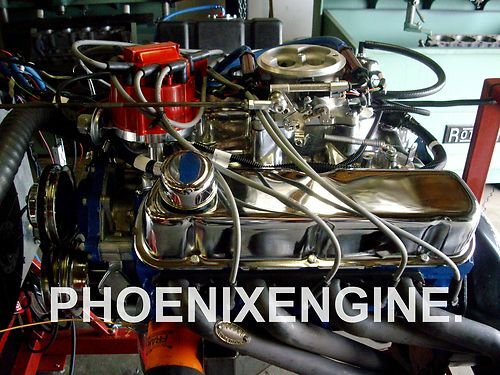 This is a very good street friendly engine with an Old School sound. 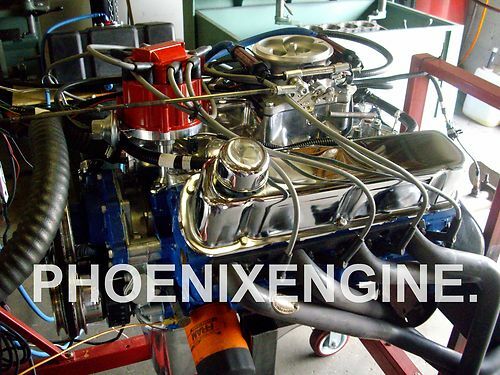 This engine has a MILD to ROUGH idle. 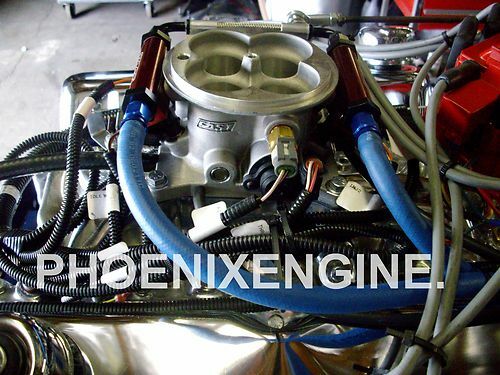 Comp Cam Kit CAM that puts out 330HP at 5500 rmp and 351 ft lbs torque. You will need an 1800 to 2200 stall speed converter. Seal Power SL Heavy duty pistons. Steel forged rods with ARP rods, bolts. NODULAR CRANK Pro turned micro polished. Call on colors, plugs, plug wires. P.E.R. 7" High Performance harmonic balancer. Water pump, fuel pump, 5qt oil pan. Scroll down for more details!! 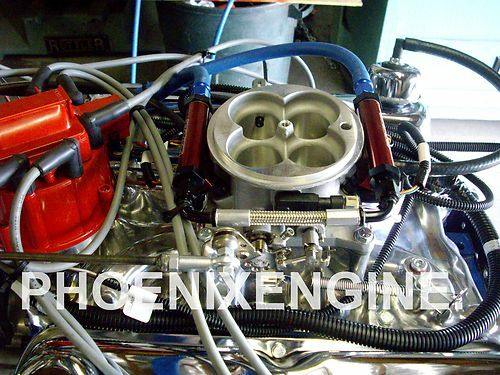 THIS IS OUR TURN KEY PACKAGE FOR THIS TYPE OF HIGH POWER ENGINE. 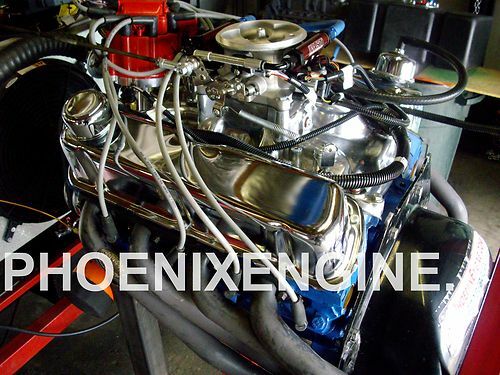 This Power Engine® combination will be great in your musclecar, street, strip, hot rod, kit car, custom truck, 4X4, or Jeep!! It is an excellent street machine and was voted as #1 on the web for having the best price and best value for the product. 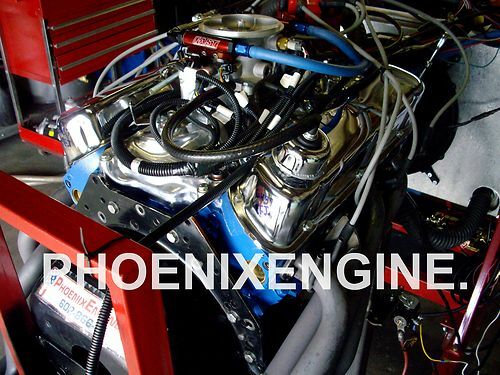 Built from our road proven and DYNO TESTED packages! 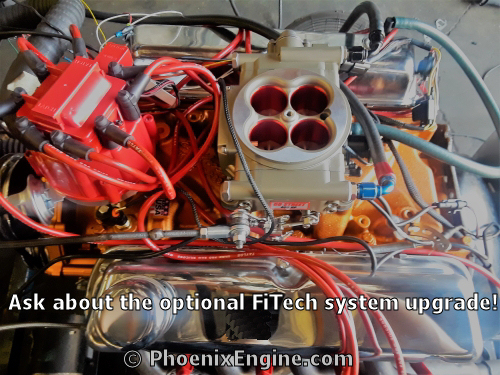 Your specific engine can be Dyno tested for an additional charge.